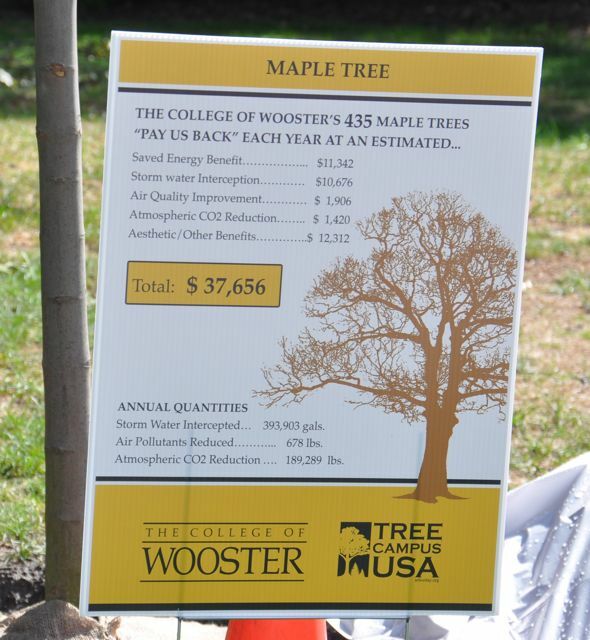 On a beautiful homecoming afternoon in September – The College of Wooster celebrated its new designation as a Tree Campus USA. 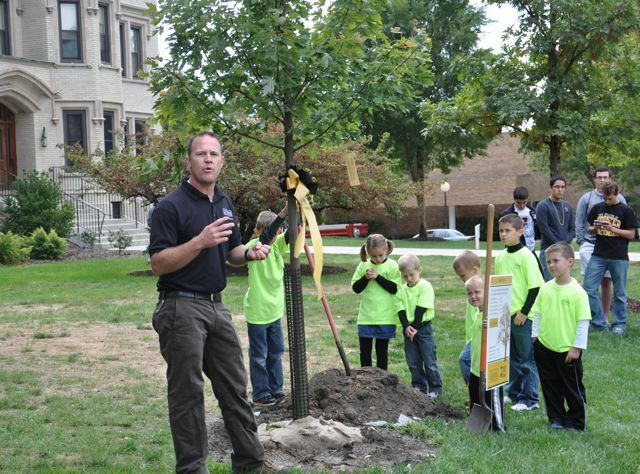 This special designation of The College of Wooster was lead by Beau Mastrine, director of grounds (above). Partners include the City of Wooster and the OARDC. 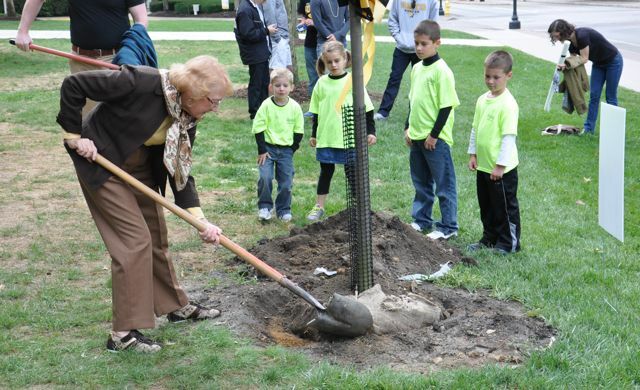 Grace Tompos, a good friend of the campus trees, places a shovel of dirt onto the latest maple planted in front of Holden Hall. 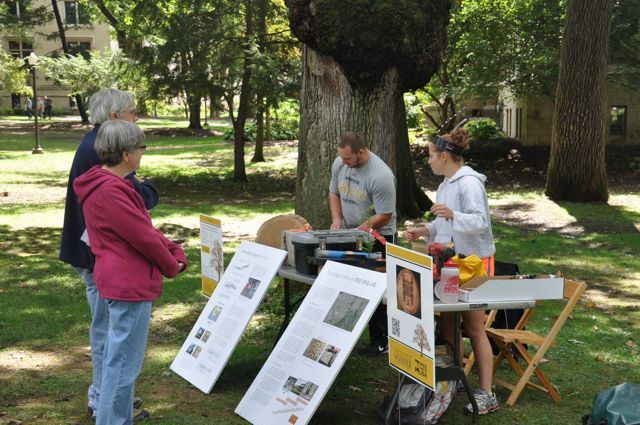 Andy Nash and Lauren Vargo of the Wooster Tree Ring Lab in Geology explain the science of tree-rings as part of the Tree Campus USA celebration. Both students will be using the campus tree-ring data in their drought studies and will be presenting their results at the annual meeting of the Geological Society of America Meeting in November. Andy’s work examines drought in the Midwest and Lauren’s study will analyze the link between North Pacific climate and Midwest drought. 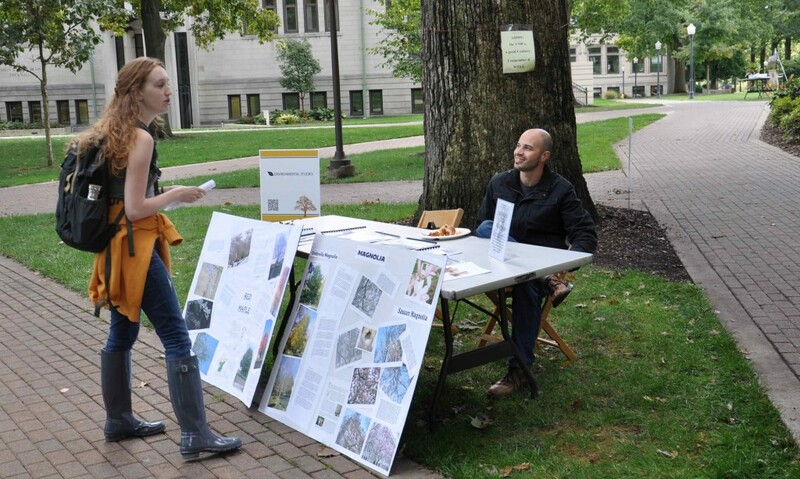 Dr. Mariola (Environmental Studies) explains how he uses the campus trees in his courses. The tree journal assignment increases awareness of the practical and aesthetic value of the trees. The D-shaped hole of the emerald ash borer (above). 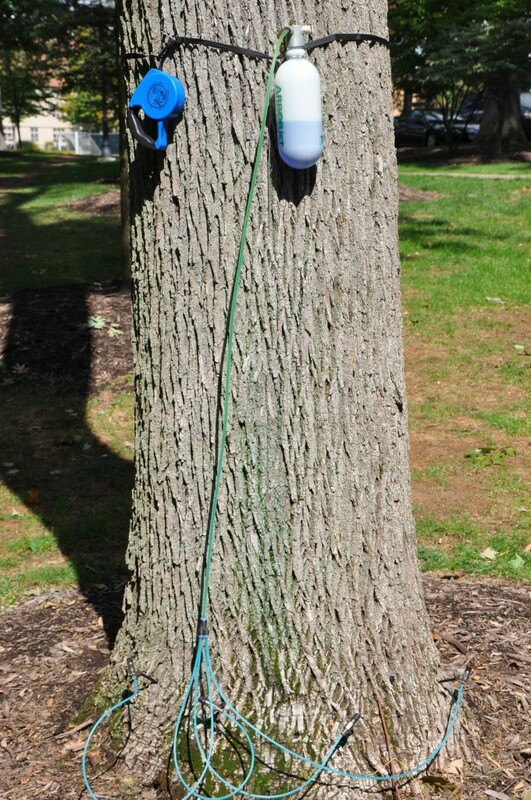 On the left is a “tree IV” (left) hooked up to a Green Ash on campus. 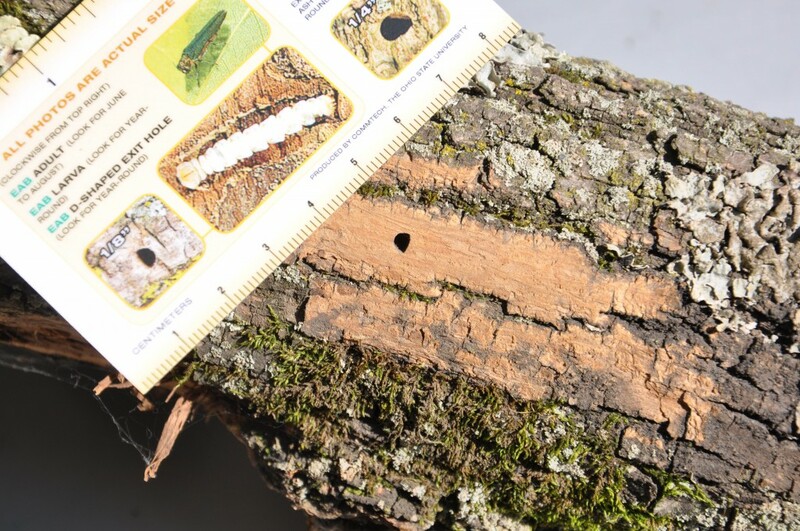 This treatment repels the ash borer attack and protects the tree. 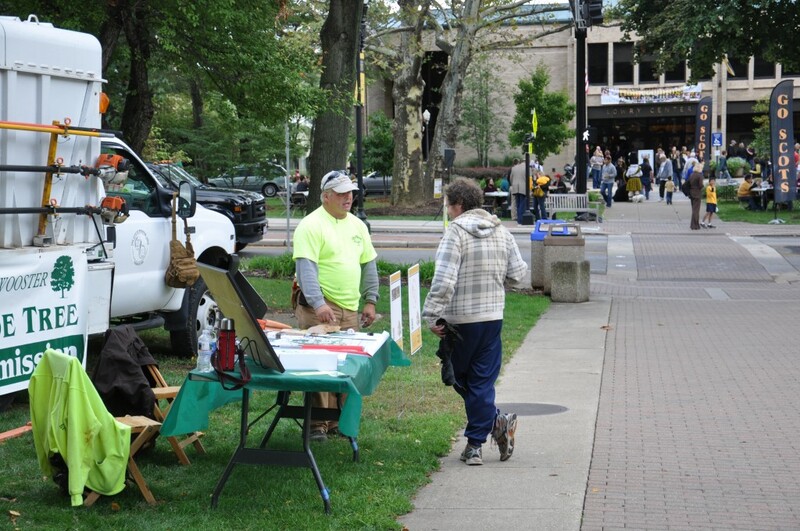 Employees of the City of Wooster explain the value and care of the urban forest. Below is one of the bottom lines of the value of trees – here summarizing the value of the campus’ maples. Gorgeous day for the trees and people! Such a beautiful campus because of the diversity, number and good health of the trees. Grace Tompos! How wonderful to see her after all these years. And what a great designation for my alma mater. Mastrine is doing a wonderful job!